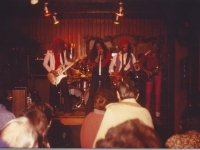 In the early 1970’s a group of musicians were rehearsing in the function room of the Queen’s Head pub in Erdington, Birmingham playing mainly blues based rock music. 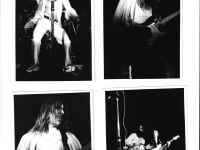 The band consisted of Tim Holmes (bass), Terry Drew (rhythm guitar), Charlie (drums), and Gbeam (lead guitar) known for his habit of calling everyone he met ‘gbeam’ or ‘smackbeam’. 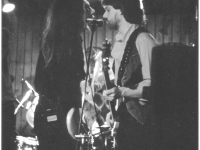 The band had been looking for a vocalist for some time and someone suggested to Dave Kirby that he auditioned for the position. Dave turned up at the next rehearsal and was duly appointed as lead singer of the band. At this point the band’s name was Ion Mistress. They were playing around the pub circuits of Birmingham at venues such as Henry’s Blues House. 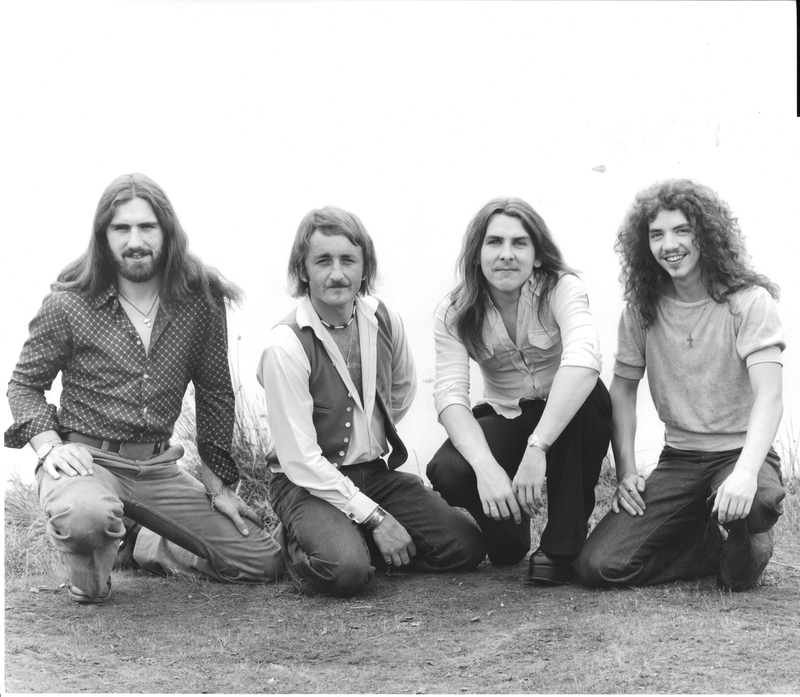 Following musical differences Gbeam left the band to be replaced by Tim Holmes’ cousin Julian Price (lead guitar) and Charlie left to be replaced by Eric (drums). 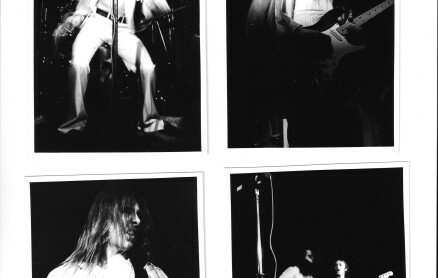 With the loss of Gbeam the band moved away from the blues based style to a more Birmingham style of rock and began writing their own music with a Deep Purple/Black Sabbath feel resulting in the band moving to more mainstream venues such as The Eagle, Barrel Organ and Bogart’s. 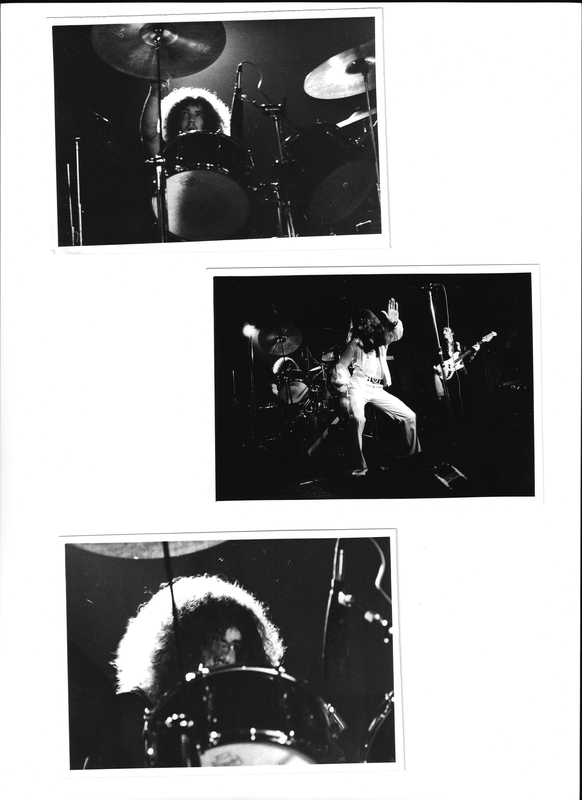 In the mid to late 70’s once again musical differences forced changes to the band and Julian and Eric left to be replaced by Pete Butler (lead guitar) and Ray Richmond (drums). Terry Drew also left to follow a spiritual path. This left Ion Mistress as a four piece band with Tim Holmes’ fluid bass riffs complementing Pete Butler’s Richie Blackmore/Jimmy Page style riffs, with Ray Richmond keeping the rhythm section tight and Dave Kirby’s power vocals leading from the front. The band was now set for a new phase and it was felt that a new name was also needed. Bandanna was born. Tim was very handy in the workshop and we soon had the obligatory drum riser and lighting gantries and our manager, one Pete Wetton, bought some pyro equipment (Pyro Pete as he was from then on referred…The problem was that most of these places couldn’t accommodate this “kit” We would play on tiny stages with drum riser, smoke machines and pyros, many times the drums took up the entire stage. One night at the infamous Tonypandy Naval Club we nearly killed a headbanger with the pyros, the poor chap had is head directly over it when it went off, obviously had his eyes tight shut, luckily for us. Insurance was something older folks had! We played London pubs, e.g. the rock garden, Covent Garden with the ex Nice bass and drummer. It was sad to see that Jackson and Davison were in the tiny rock garden and Emerson had gone global by then. 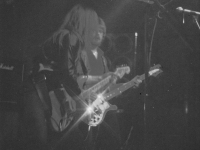 We played support slots for Motorhead at Marquee (5 pound fee) and Strife. The dressing room at the marque is very small and in there were 2 of the aforementioned “security” guys. The head angel was a veritable mountain of a man called Levi and one of his “team” had upset him….when I got into the room I wedged myself in the opposite corner to these 2 and tried to tune my guitar , which I then leaned into the corner while I changed my clothes, I heard the most awful sound and it was Levi beating his friend viciously and then timing how long it took for the little guy to come around, if it was too fast , he got hit again..nice. Then a glass came flying across the room and hit my guitar,,, the indentation is still there, I picked up the guitar and ran onto the stage for cover. Earlier in the evening Lemmy had asked me if he could borrow my amp as his had blown up the previous evening. He was a very nice chap so I agreed; also Phil Taylor borrowed some drum stuff from Ray. When the gig was over I noticed that all of the lent gear was missing, now I had not long before witnessed the dressing room ultravilolence but, I plucked up the courage to approach the roadie who was loading their van and just said “I think you have some of our stuff” “oh sorry” he said and promptly handed it all back, phew!! I didn’t fancy hospital food; I just wanted to get home. 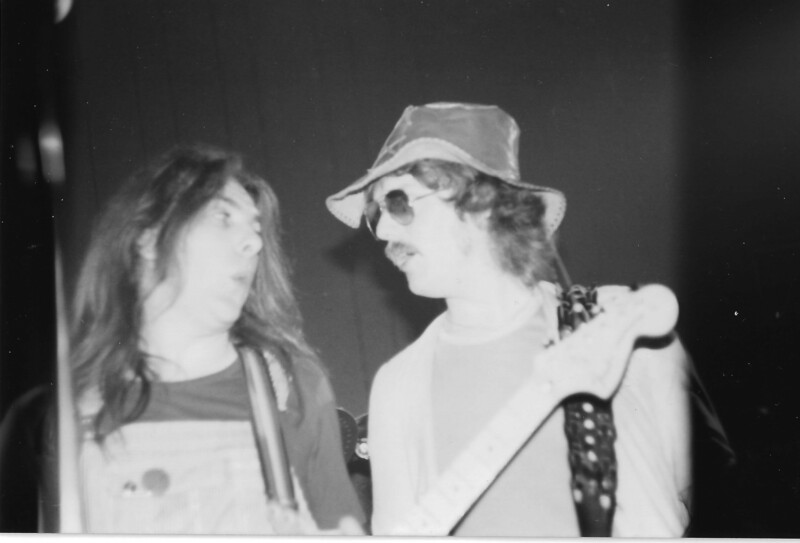 We did support gigs for Budgie who were quite unfriendly, Sassafras, who’s lead singer Terry Bennett was a real gentleman and helped us a lot, Trapeze, Max Boyce the comedian and many more. 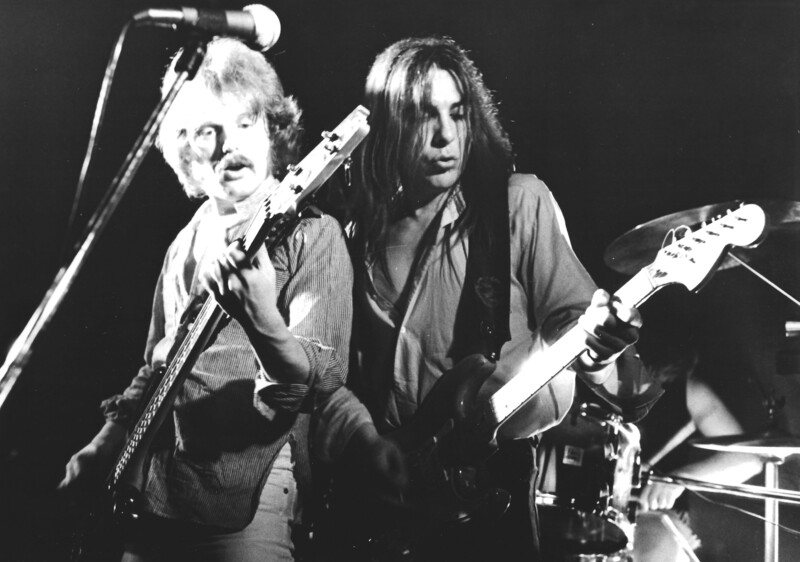 The high water mark was undoubtedly our support slot for Budgie at Newcastle City Hall. It was the jewel in the crown of the town hall cct which at the time was THE cct to play. All the big bands did it and it was fantastic to hear our music echoing around these venerable galleries. We had a great reception from the crowd. In 1978 we supported The Damned at Northampton Cricket Club. By then punk had taken a hold on the agents that we worked with. After this gig we thought decided that this punk was not for us and decided to have a hiatus. 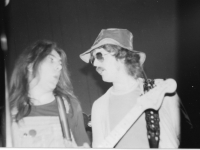 Bandanna Mk2 1980 to 84 was Dave Kirby, lead vocal, Mark Whitehouse lead guitar, Mick Hackett, Bass and synth then Mick Walker, then Paul Prior, bass, Brett Lane then Paul Thurlow, drums , and Pete Butler, guitar and vocal, Kevin Hunt lead guitar and synth. I asked Dave Kirby and my old chum Mick Hackett, an ex-colleague in BT , Mick knew a drummer called Brett Lane so that was the 1st line up sorted. We started Monday nights at the railway, in Curzon St, the Landlord was Bernard and his wife Winnie. We quickly moved to Thursday eve, then to Friday (ever closer to the coveted Saturday night top spot. That was occupied for a long time by Bernie’s favorites, the Dealers, but as soon as they had a break we were in like a shot. Things had moved up a gear or two when we recruited Paul Thurlow. He brought a tightness that we had lacked before and he was, and still is, one of the best drummers around. 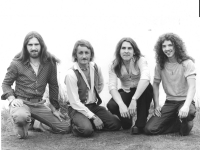 The Railway was then sold to Fred Waite, the father of some of the Musical Youth group. 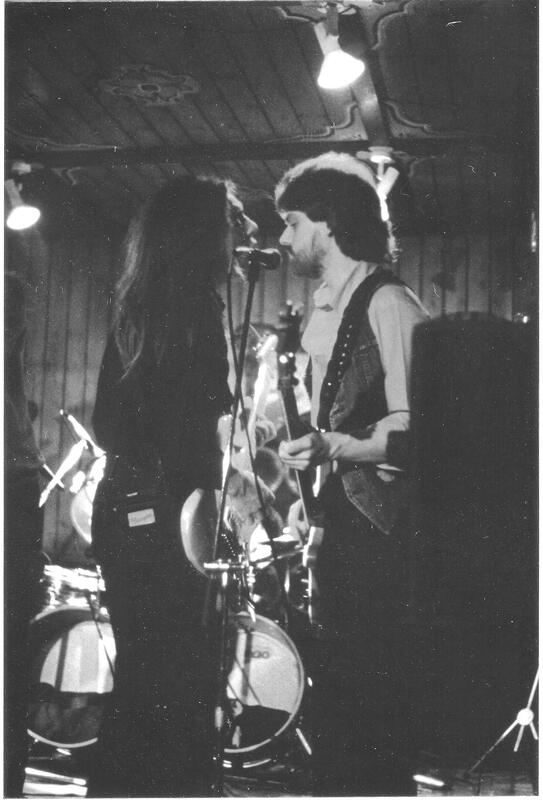 He invested a lot into the pub, new stage, in house PA etc and we continued to get good crowds. Mick Hackett decided to move to Nottingham so had to leave the band….how parochial is that!! Paul knew Mick Walker who promptly filled Mick Hackett’s shoes and bought some fresh blood. Towards the end Kevin Hunt and Paul Prior ably filled others shoes. Kevin moved to Australia and formed a very successful Pink Floyd Tribute Band. Eventually, Paul T decided he needed a break from music. At the time we were disappointed that we hadn’t been more successful. In hindsight it was the correct thing to do as we had gone as far as we could. 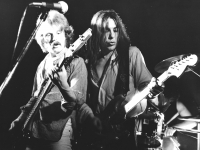 Since then I worked with a singer and drummer called John Hopcroft . 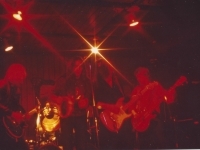 We formed a band playing West Coast American covers with Phil Brittle on Drums, Mick Walker on Bass, Pat Geddes Smith on Sax and keyboards and Paul Davis on guitar an vocals We recorded a version of Chaka Khans (Michael Sembello) Eye to Eye which I am rather proud of which may be uploaded. 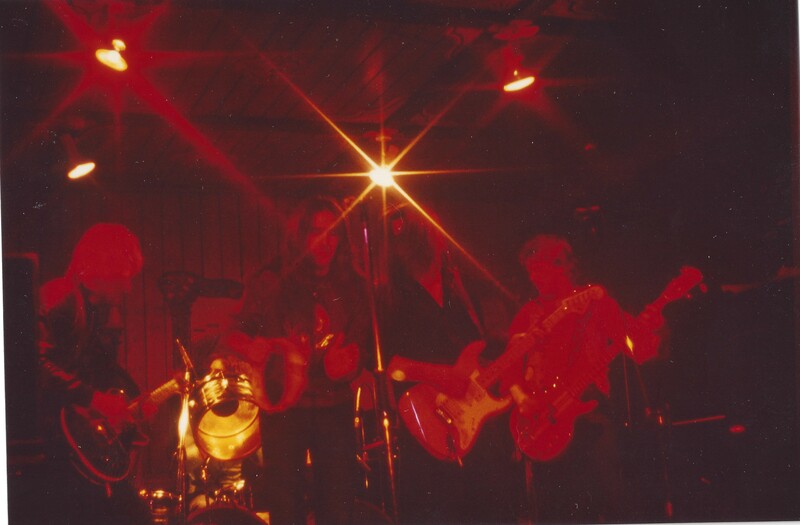 I also played with a 7 piece Rock on Roll band called the red river rock and roll show featuring Ted “Big Daddy” Lee and “Rockin Roddy” on vocals. It was great fun and have too many stories about them to go into here. Pat the Sax was there too. 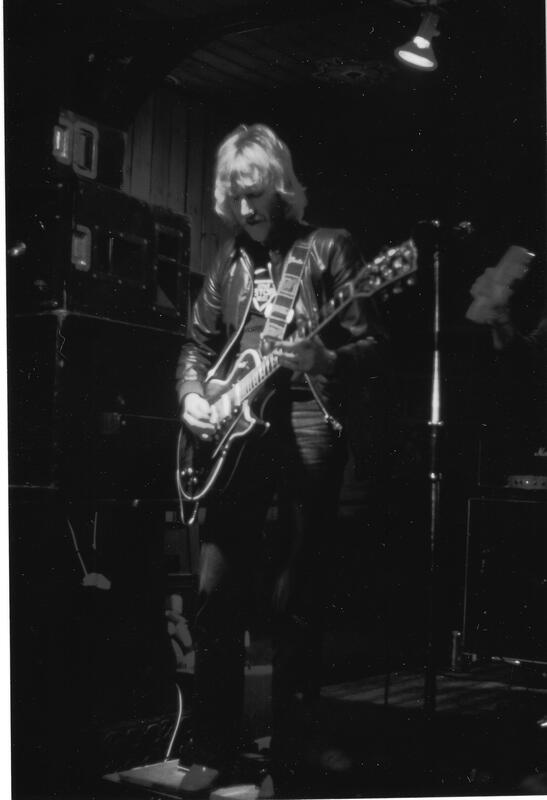 I also played with a social club band called Midnight Express who were fab, with Phil Brittle drums, Andy Abbot on bass (From 60s band Muscles), and Mike Munslow on piano (mike is a fab piano player and we were bloody good. 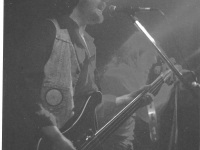 Since then I moved to Bavaria in south Germany and have a little rock covers trio called Francis Collection. 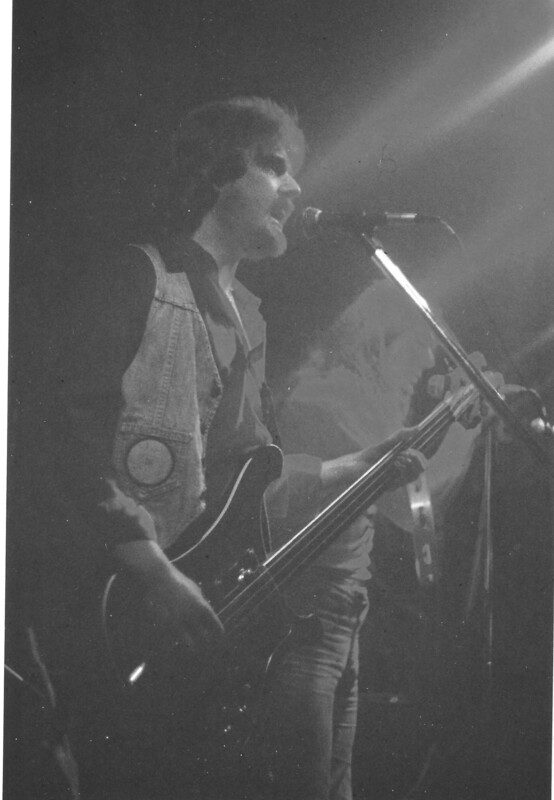 Mick Hackett started in covers bands while still at school in Halesowen, moving to original rock bands at 18 and cutting his teeth with Snakeshead before joining Bandanna after meeting Pete Butler at work. He left when he moved to Nottingham in ’83 where he played with a few original bands but it ain’t Brum and he soon shelved it for a few years. 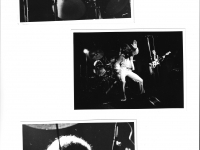 After a couple of bouts of life threatening illness he decided that life is indeed too short and returned to the scene with 3 Above The Shark, a powerful covers band who were an integral part of a thriving East Midlands pub circuit. 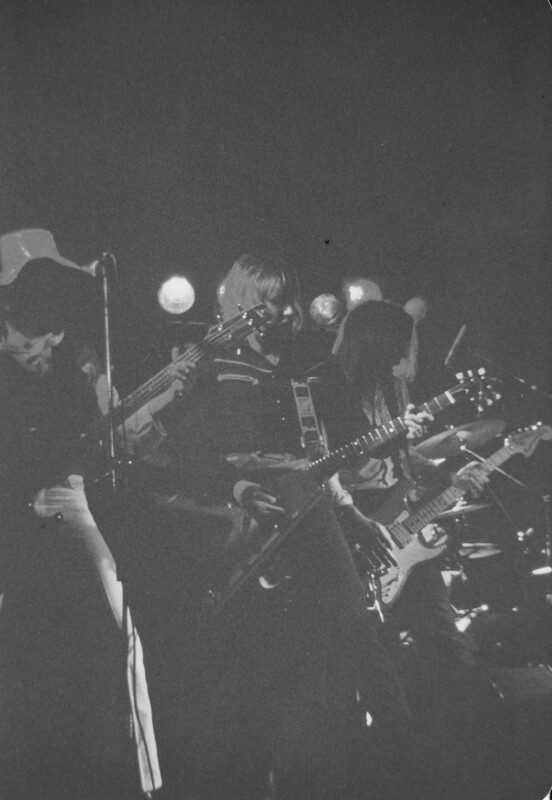 Forming Not Now Kato, an ‘original covers’ good time band, both bands ran side by side for several years. 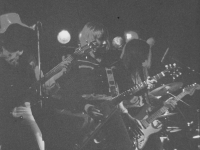 This was followed by a dabble in rock theatre as Nigel Tufnel with acclaimed tribute show The Spinal Taps, before hitting the pub scene again with The Incredible Skank Brothers, a very successful high energy Ska show, who are currently ruling the roost in the East Midlands and South Yorkshire. Saturday nights trudging out of town to the Railway on Curzon Street. Great band whose lead singer was called Dave if I remember correctly who was a christian. Songs I remember (all originals) were – You Can’t Judge A Book By Its Cover and Hard Man. Place used to be rammed packed and a great night! Bandana as support for nick turner’s hawkwind !! Nick Turner’s band were booed off the stage, after playing an appauling version of ‘ Silver Machine’ ..punk style..
Bandana were demanded by the crowd to return to the stage to finish the night in PROPER rockin’ style…Solihull Civic Hall. Another venue demolished sadly. 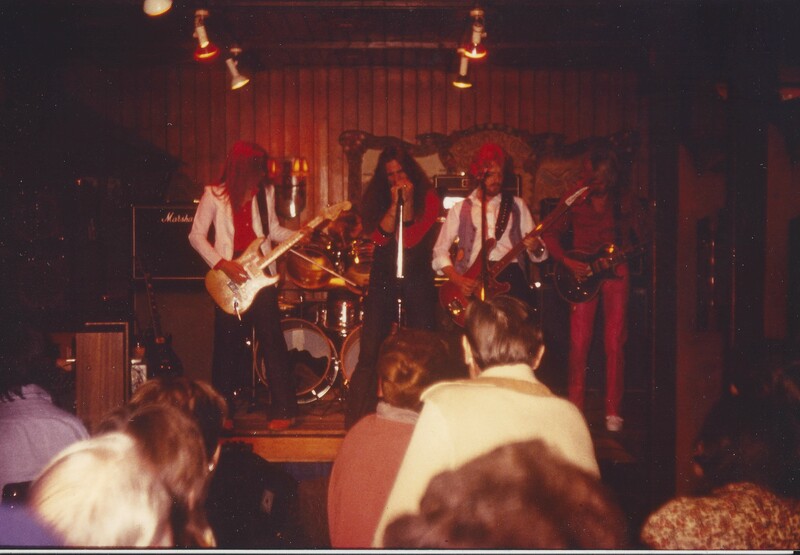 I played in a band with Brett Lane who was the drummer in Bandanna. I only found out after we hooked up cos we were the only Brummies in this small seaside town near Bristol. It was then I told him I’d seen him play at The Railway Curzon St. years previously. He’s still playing in a covers band called Against the Grain and still hits his drums as hard today! Before Bandanna the band were called Ion Mistress. Playing Bogarts and the Railway. Well heres a Girl who knows her stuff. I joined Ion Mistress then the became bandanna. We had some great years with some great fans. 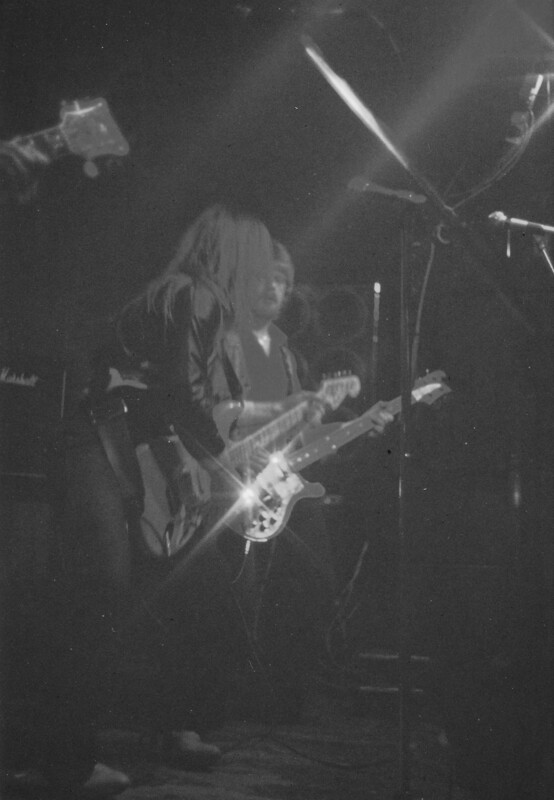 We played some support gigs with Budgie and Sassafras (2 great bands) then had a Hiatus for the punk years and Reformed with 2 guitars for the “railway years”. Good time indeed. Used to love seeing bandana at the railway every saturday night…Their tunes were class and still remember them to this day. Thanks…I think i Need to do a wiki page or a web site, we still have recordings of a lot of he Songs and we could put them online. Really best time ever Pete. Hi Pete, I’ve been looking for my past and best years. Magic memories reading this page. I was your roadie from end of Mistress through the best Bandanna years up to the start of the “Punk Hiatus” I see with great excitement that you have some of the recordings. Would really love to hear some old magic any chance ? if you read my ramblings carefully you are mentioned (along with Tony and Adrian) !! They were great times indeed. I remember we kept the van on your parents driveway for security. Hi Dave, the last time I saw you and the band was in Cardiff. You came to play a fundraiser for ” Voluntary Community Service”. I had moved back to Wales and worked for them . My partner, Martin and I had the task of trying to raise funds to help the charity. You and the band stayed at our flat over night . This was in 1977. You guys did it for nothing other than petrol . It was a very generous gift. The club you played in , “Metros” is still a rock club. My then partner, Martin Greenwood and I have now been married 40 years. I am very lucky in my life. Keep up with the great work. Wishing all those from back then ,Love, Light and peaceful lives. Yes, there are some folks finding this !! I noticed a post from your Derek !! Somewhere I still have a great doodle that Derek did when we were practiciing at the railway….if i can find it, ill scan it and send it to jez. Hi Pete B. Thanks for the nice words! Great days indeed, I’m David kirby’s cousin from Liverpool and l used to travel to Brum most weekends to join in the fun and have a great time, l even sang on stage with d bandanna once, brilliant!! I’m sorry to have to report that my old friend Mick Hackett passed away on Thursday June 30th. As sad loss to everyone especially his wife, Julie and family and friends. 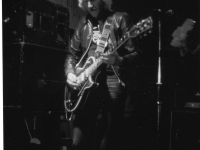 Mick was a fantastic musician and friend to me during those 70s an 80s heyday years and, fortunatly we reconnected recently, only to lose him so soon. Sad notice man. A great musician. I’m sorry to this notice also. I am searching by years all recordings of band on a good rip. I will be much happy if somebody can send me via e-mail. Great band, epic songs. Classic! My e-mail: [email protected] Thanks advance. Hi, more of a message for Pete Butler. Just thought I’d give you a shout, I read your earlier messages and saw you mentioned Midnight Express with my old man Mike on keys. Wow, brings back some very early memories of seeing you lot play. great memories. 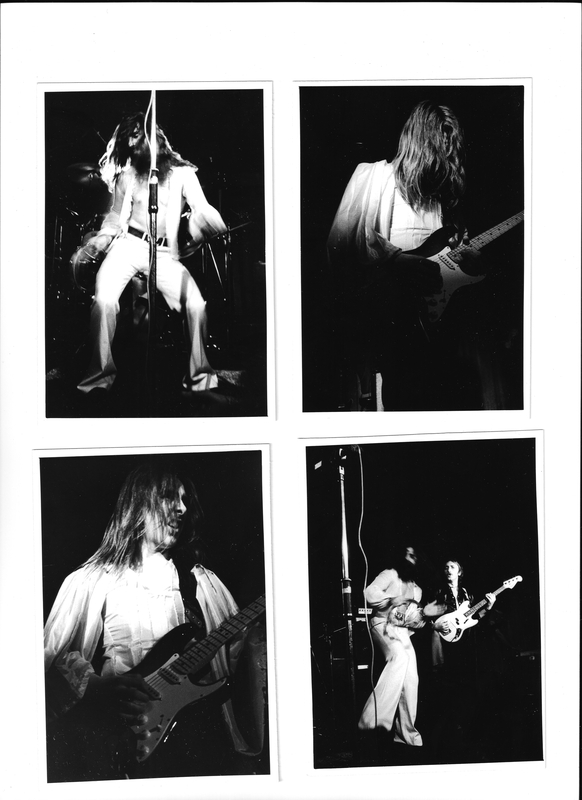 Started me on my love affair with playing guitar and music in general…Mike is still about and playing keys, singing also. Be great if you two could exchange emails or whatnot. Also, just wondered if you remember picking out my first guitar…must’ve been about 1993/4. A left handed Aria Legend, still got it haha, anyway hope you are well. Be cool to hear back. I was sure I replied to this, now I’m not so sure !! Hello, your old gaffers here lol, Ion mistress was formed by myself ,Julian Price, and Charles Chatwin Drums, I never forget when you turned up for my audition,then later Dave Kirby, from there on the rest is history and our great friendship began.The very first van I bought for the band was an old Austin J4 if you recall with no reverse gear, at one point the van was that rotten we could lift the side to unload the gear lol, great days.